DAEMON Tools : Best virtual CD /DVD Drive and emulator. Ever got fed up with the requirement of many games to insert CD/DVD in ur drive so that you can play the game or sometime when u have some CD / DVD images files which you want to use without burning it to CD/DVD, the solution is Daemon tools. DAEMON Tools is an advanced application for Microsoft Windows which provides one of the best optical media emulation in the industry. With DAEMON Tools you can back up your physical CD/DVD/HD DVD/Blu-ray discs into â€œvirtual discsâ€ or so called â€œdisc imageâ€ files, which run directly on your hard drive. You can also work with images created by other burning programs! DAEMON Tools supports variety of image types. Use CD/DVD image converter to have one format images in your Image Catalog! With DAEMON Tools you would receive up to 32 virtual SCSI drives and 2 virtual IDE drives that behave just like the â€œrealâ€ physical ones. No more CD/DVD drive noise. No waiting for disc loading. No need to buy external optical drive for your netbook. DAEMON Tools enables you to use your CD/DVD images as if they were already burned to CD/DVD. 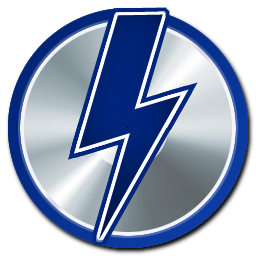 Daemon Tools Pro images mean that you always have your expensive media stored safely on your hard drive for instant retrieval at the click of a button. No more searching for the correct disc or software application install disc, everything is at your finger tips. You can just save images of your Favorite games CD/DVD and just mount them when required to play games instead of using the original CD/DVDs. Its lite version is free to use and that’s good enough for normal users.